YOU'VE heard of the chicken that crossed the road, but what about the crab? 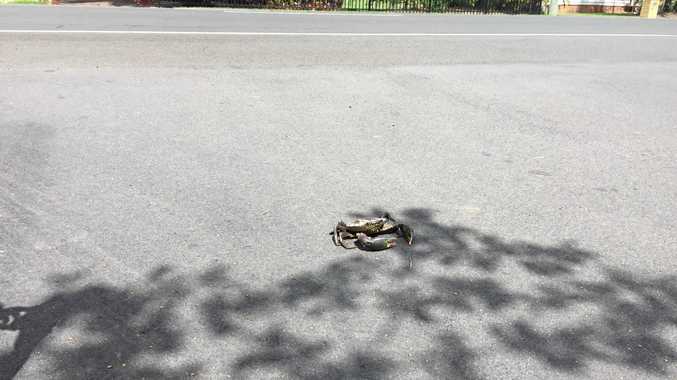 All alone and far from home this mud crab was spotted scuttling its way across a main road in suburban Bundaberg in the heat of today. Bundaberg's Carl Wurzbacher found the decent sized water creature making its way across Maynard Rd, Walkervale. 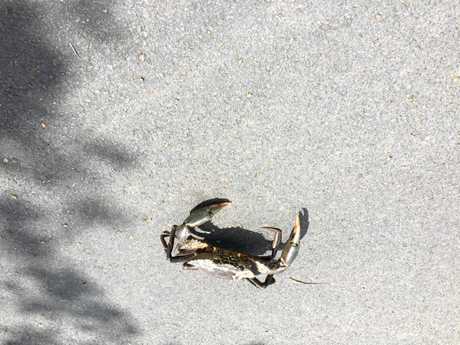 With the Catholic schools race day held last weekend at the near-by racetrack, it's been suggested that maybe it escaped a crab entree dish and should be given a high five or claw for its mighty escape. In retaliation to the crab trying to snap off a thumb, Mr Wurzbacher said it was lucky he was undersized. 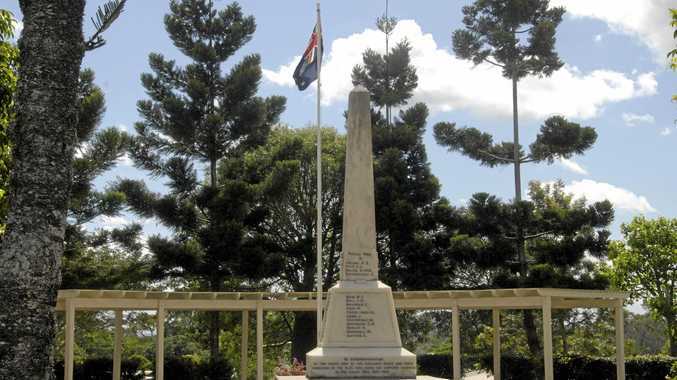 "It's the craziest thing I've ever seen, seriously," Mr Wurzbacher said. The keen fisherman said the cranky crab wasn't full grown. "It was a small buck and that it was a pity it's undersize - other wise I'd be eating him," he said. 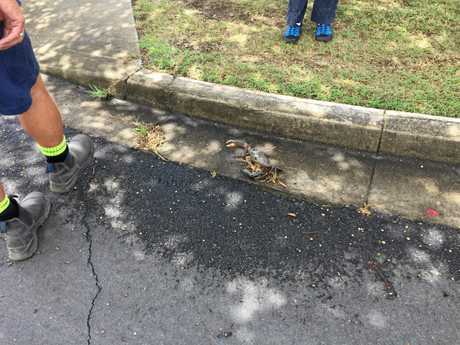 Mr Wurzbacher said the crab was so feisty it took the help of a Bundaberg Regional Council worker and a large spanner to apprehend him. 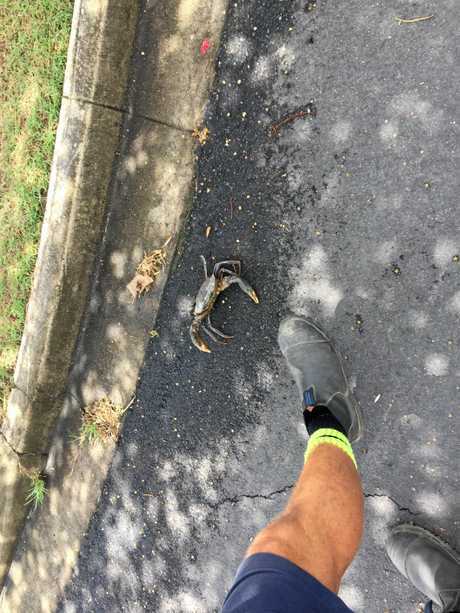 It's not the first time a mudcrab was found in the middle of the Rum City, last month Bundaberg police were conducting routine evening patrols of the Riverside Parklands when they encountered this rather feisty individual. The crab will now be released to see another day in Burnett Heads , and hopefully end up on Mr Wurzbacher plate in years to come.